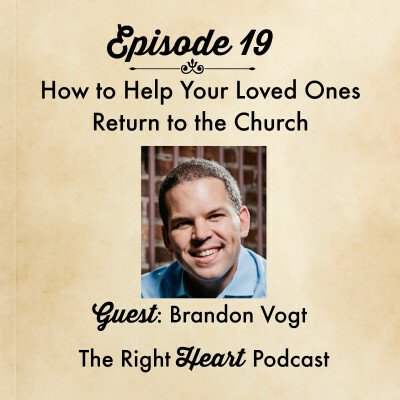 When I asked popular Catholic speaker, author, and social media expert Brandon Vogt to be a guest on The Right Heart, I had a topic in mind for him. I wanted to ask him why so many young Catholics leave the Catholic Church, and what we can do to help draw them back to it. Enter the Holy Spirit’s top-notch timing. Little did I know, Brandon had spent the last year putting together a phenomenal new project on exactly that topic. The Return Project is a book and video series that explores why many young Catholics leave the Church, and how their faithful loved ones can help them find their way back. I was fascinated by the research Brandon put into this project, as well as the insight and spiritual depth of his practical suggestions for how to witness to fallen-away Catholics in word and action. I think you will find this episode to be practical, informative, and–most of all–encouraging. Brandon doesn’t just talk about a problem that is all-too-real for many parents and families: he tells us what we can do about it. Brandon is a devoted husband and father of four young children. 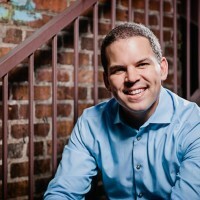 He works as the Content Director for Bishop Robert Barron’s Word on Fire Ministries, though he is also a well-known author, blogger and speaker. He has published four books, and he has been interviewed by many Catholic and secular news and media outlets. Brandon’s resume of past and current projects is impressive. He is launching The Return Project in November 2015. Check out his website for a list of the great work he is doing for the Church!